McCashin's Brewery Kitchen and Bar in Nelson. 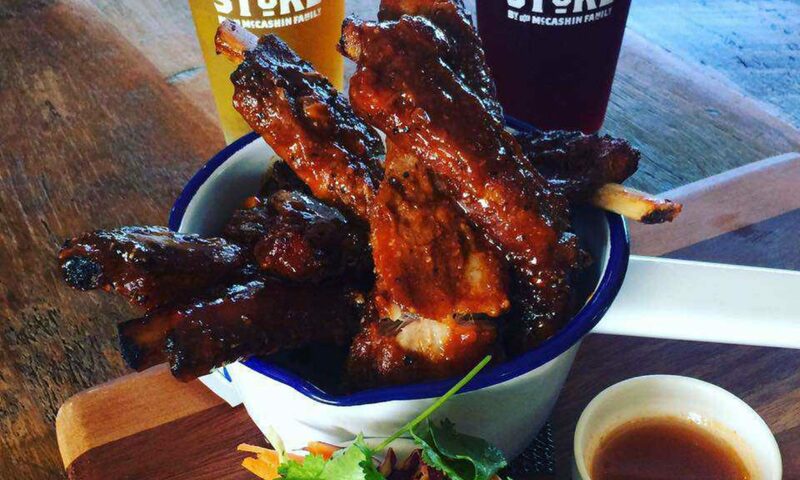 Restaurant and Bar, Brewery Tours, Tastings and Entertainment all under one roof!Come join us at our Kitchen and Bar located at 660 Main Road Stoke, Nelson, we have delicious seasonal food, great coffee and locally crafted McCashin’s brews. During the day we are a busy café style environment with extensive cabinet food offerings, light meals, a la carte lunch menus & breakfast on the weekends, with a more relaxed order-at-the bar type service. At night we become a bustling restaurant with full food and beverage table service, catering also for large groups & specialty functions. Bookings are recommended. McCashin's Brewery Kitchen & Bar is family-friendly, we welcome children and have toys, high chairs and a kids menu in order to take care of the littler ones. Enjoy lunch in our sunny spacious beer garden complete with a Heritage Oak tree that gives shade for those who prefer a cooler spot. Or slake your thirst while watching the hand crafted Stoke Beer and Rochdale Cider come off the bottling line through our unique viewing windows. You can fill your own craft beer & cider riggers, flagons and growlers, our bottle store has very competitive daily prices, regular specials and second’s products.